BEIJING, China, February 6, 2012 (ENS) – China’s airlines will not be allowed to pay a charge on carbon dioxide emissions imposed by the European Union without government permission, the Civil Aviation Administration of China, CAAC, said Monday. Chinese airlines are also banned from increasing their fares or adding new charges for the scheme put in place by the EU to limit emissions of the greenhouse gas. 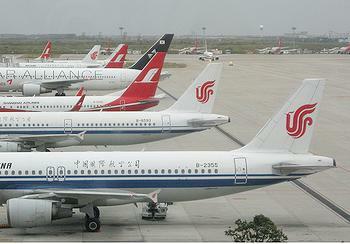 The CAAC has been authorized by the State Council, China’s Cabinet, to notify the ban to all of China’s airlines, the agency said in a statement, published Monday by Xinhua, the Chinese state news agency. Under the EU’s Emissions Trading Scheme, as of January 1 airlines operating in the EU must purchase emissions credits if they exceed strict limits on the emission of the greenhouse gas carbon dioxide. The EU’s decision to charge flights into and out of EU airports for carbon emissions “runs contrary to relevant principles of the United Nations Framework Convention on Climate Change and the international civil aviation regulations,” the CAAC statement said. The agency said China hopes the EU can find proper solutions to the issue with considerations of the overall bilateral relations, the two sides’ combined efforts to combat climate change as well as the sustainable development of the international airline industry. 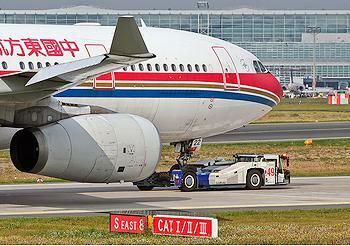 The China Air Transport Association has confirmed it will not support the EU’s Emissions Trading Scheme. The European Union is “not backing down,” a spokesman for EU Climate Commissioner Connie Hedegaard, told the “Financial Times.” Brussels is “confident that the Chinese airlines will comply with our legislation,” the spokesman said. More than 30 countries, including China, India, Russia and the United States, have opposed the EU’s Emissions Trading Scheme’s inclusion of airlines on the grounds that it violates international law. But on December 21, 2011, the European Union Court of Justice ruled that the EU law bringing aviation activities under the EU’s emissions trading scheme is valid. The ruling came in a case brought by U.S. airlines United, Continental and American and their trade association. From that date, all airlines, including those of third countries, must acquire and surrender emission allowances for their flights which depart from and arrive at European Union airports. The EU has not yet begun to charge for the purchase of emissions allowances, but all airlines using EU airports have been brought under the Emissions Trading Scheme. Those that fail to comply could be fined or banned from EU airports. The ban comes a week before a business summit meeting of Chinese and European leaders at which Premier Wen Jiabao is scheduled to meet European Commission President Jose Barroso in Beijing.